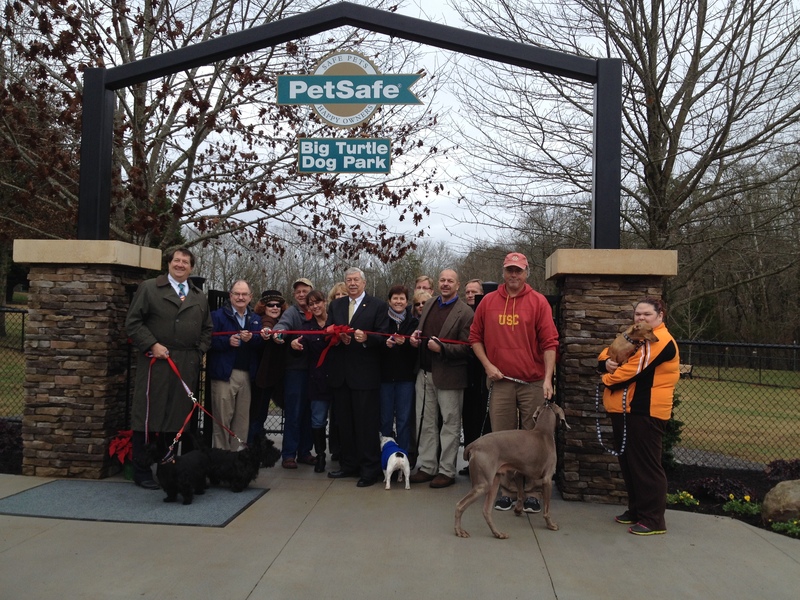 Oak Ridge Recreation & Parks » The PetSafe Dog Park at Big Turtle Park is officially open! The PetSafe Dog Park at Big Turtle Park is officially open! 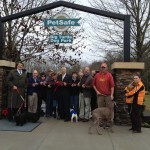 The PetSafe Big Turtle Dog Park was dedicated on Monday, December 9th with a ribbon cutting ceremony at the park. The dog park was built with a $100,000 grant from PetSafe, administered through the Legacy Parks Foundation. This generous donation to the city has provided the opportunity to construct Oak Ridge’s first dog park. Representatives of Radio Systems Corporation, parent company of PetSafe, joined local elected officials, city staff and members of the public to commemorate the construction of Oak Ridge’s first dog park. 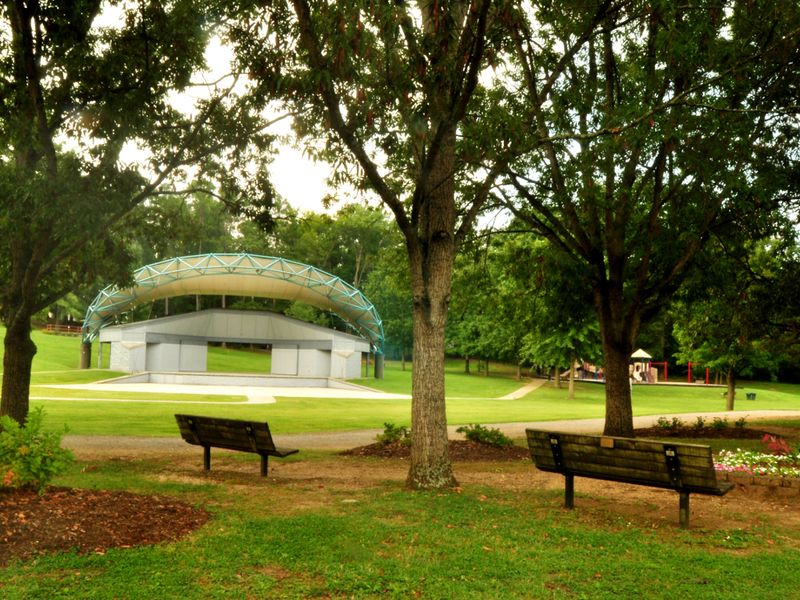 Located in west Oak Ridge at Big Turtle Park, the dog park provides two fenced areas for dogs to exercise off-leash, one for dogs under 30 pounds and one for all dogs. Amenities at the park include benches for dog owner’s relaxation, pet waste bag dispenser stations, trash cans and a water fountain in each area. The fountains, which will serve both dogs and people, are ADA accessible. They are winterized at this time, but will be turned on when warmer spring weather moves back in.